14 of the Best Free Things to Do in Arizona! If you are visiting Arizona, you are bound to spend a lot of money trying to experience all the delights the state has to offer. Here is a lowdown of all the very best activities that you can partake without ever having to carry your wallet. Experience a one of a kind journey through Scottsdale’s trolley system that takes you around the District, Waterfront, and Southbridge. The two-hour trip occurs every second Saturday of a calendar month. Bring a cycle or rent one, then sign up for the Tour de Fat and experience the adrenaline rush of competing with other bikers from across the world. If you are interested in learning about art, films, performances, and so forth then a trip to The Phoenix Art Museum is necessary. 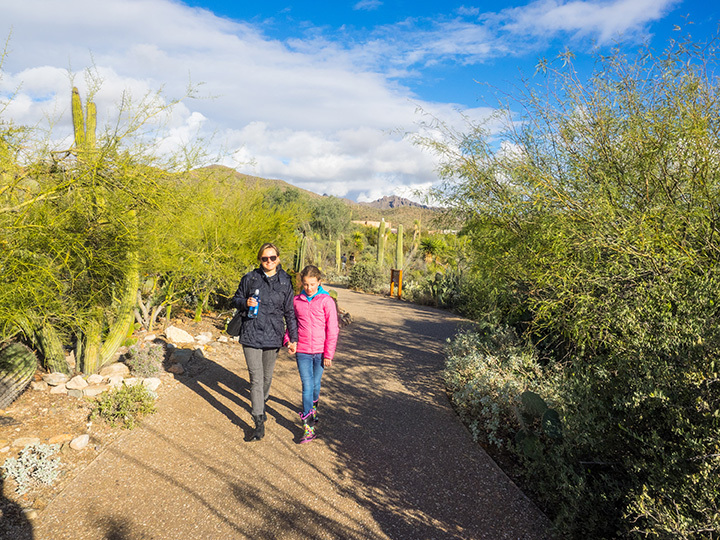 Admission is free on all Wednesdays between 3 p.m. to 9 p.m.
For a quick session of events related to the preservation of the ecosystem, do not miss the free admission on the second Tuesday of every month at the Desert Botanical Garden. If “lager” and “pint” are words that get your face lit up, you just can’t miss the free beer event hosted at Four Peaks in Tempe Town Lake during Oktoberfest. Challenge yourself to one of the most visited hiking venues in Arizona, The Piestewa Peak. About half a million people scale its summit every year. Ever wanted to enroll in a swing dancing lesson? Now’s your chance! Head over to The Duce that offers a free lesson on swing dancing every Tuesday between 7-8 p.m.
Join a large group of ghastly individuals in spreading the horror by celebrating the ‘Day of the Dead’ on Oct. 24 and 25. Free admission and parking. A host of food trucks and local music create the ambiance in Scottsdale every Saturday. The food is free during the Food Truck Caravan event. Think you got it in you to tickle a funny bone? Head over to the Comedy Club every Wednesday at 7:30 p.m. and partake in the event. If you are up for some physical activity, consider hiking by heading over to the Camelback Mountain. You can choose between two trails: Cholla or Echo Canyon. Interested in adopting a flexible body? Attend the free Lululemon yoga workshop in any one of the many storefronts located in Phoenix-area. Test your knowledge and win prizes at Trivia Night hosted every Sunday at 6 p.m. at Crescent Ballroom. Topics range from pop culture to sports. If you are a dog lover, then the Cosmo Dog Park is a certainly a trip you won’t forget. With dog show events, training tips, and so on the event is a blast for dog owners.